The Arc de Triomphe on the Champs-Elysées, Paris, is reopening tomorrow, 12 December, after having been closed for repairs following the riots sparked by the gilets jaunes (yellow vest) movement on Saturday 1 December, which saw the national monument being graffitied and ransacked. The extensive repairs have been undertaken by ten companies representing 20 trades. One of the most important tasks has been cleaning the marble bust of Louis Philippe belonging to the Centre national des arts plastiques (the national centre of visual arts), which had been splashed with paint. However, the bust of Napoleon, which was damaged when the 'Yellow Vests' protest against fuel taxes and French President Emmanuel Macron degenerated, is still being restored. 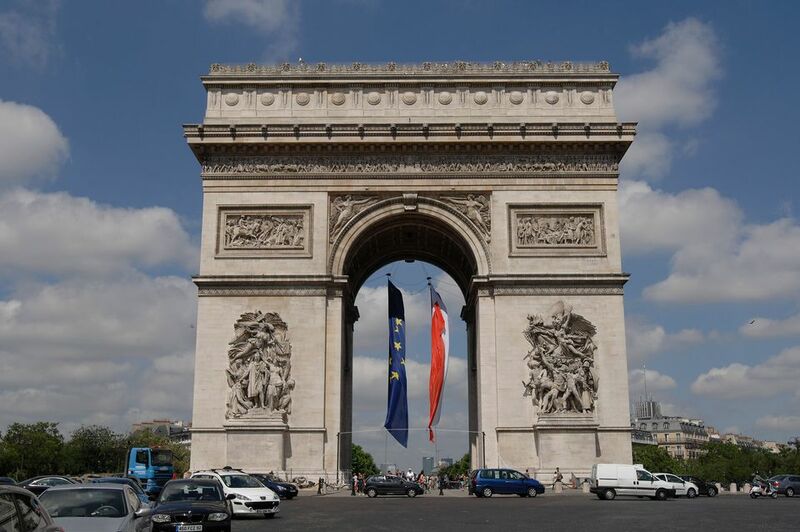 In the meantime, the Napoleon Foundation (set up in 1987 to help preserve Napoleonic works and support research into the Consulate and First and Second Empires) has loaned the Arc de Triomphe another bust by Antoine-Denis Chaudet until it is returned. Other works that were damaged will be gradually reintegrated once they have been repaired. Pieces of furniture in the bookshop have undergone interim repairs pending refurbishment, while display items—except the maquette—have been replaced.